But lately, I’ve noticed new forms of training popping up. Webinars and podcasts have increased our ability to access top-notch thinkers for free at our convenience. Right now, I’m watching Nancy Duarte and Patti Sanchez discuss their latest book on igniting change through speeches and stories at Talks at Google and listening to a discussion on workflows at a Mac Power Users podcast. 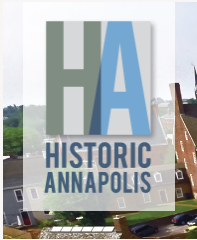 The American Alliance of Museums has offered webinars for many years but upped its offerings through its new “watch and talk events.” A museum offers to host a local gathering of colleagues to watch a live 90-minute webcast together followed by a facilitated 60-minute discussion. The first one will be presented on September 21 on “Getting Started on Audience Research and Evaluation” and the Tempe History Museum in Arizona is the first one to jump on board (more museums and historic sites are welcome to serve as local hosts). Even Twitter is being twisted with chats coordinated through a designated hashtag. Tonight (September 7) at 7:30pm Central time (5:30pm Pacific/ 6:30pm Mountain/ 8:30Eastern), AASLH will hold its first #AASLHchat on Twitter. 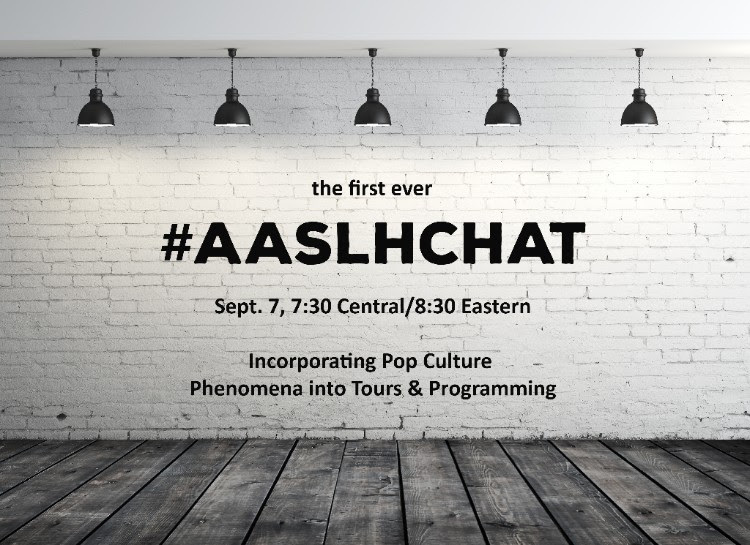 This chat will be guest-hosted by the Educators and Interpreters Affinity Community, and the topic will be “Incorporating Pop Culture Phenomena into Tours & Programming.” To participate in this open chat, just watch the AASLH Twitter account (@AASLH) and/or the hashtag #AASLHchat at the chat time. Specific prompts will be given at that time. Anyone with a Twitter account can reply to prompts. By using the #AASLHchat hashtag, all questions and answers will be visible in a single feed. The discussion will be saved in a Storify afterwards, which will be sent out later in the week. If most of this paragraph was incomprehensible, check out Getting Started with Twitter.